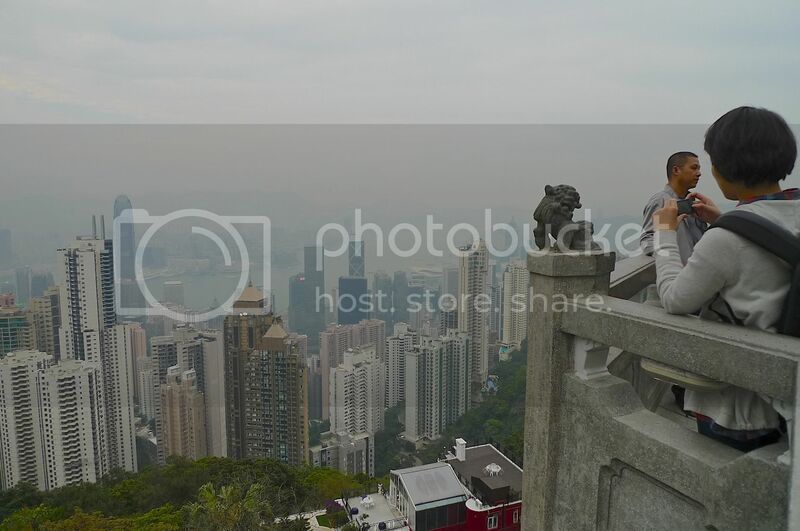 If you are a regular reader of my blog, you will know that I'm in the midst of blogging about my Hong Kong trip last year. 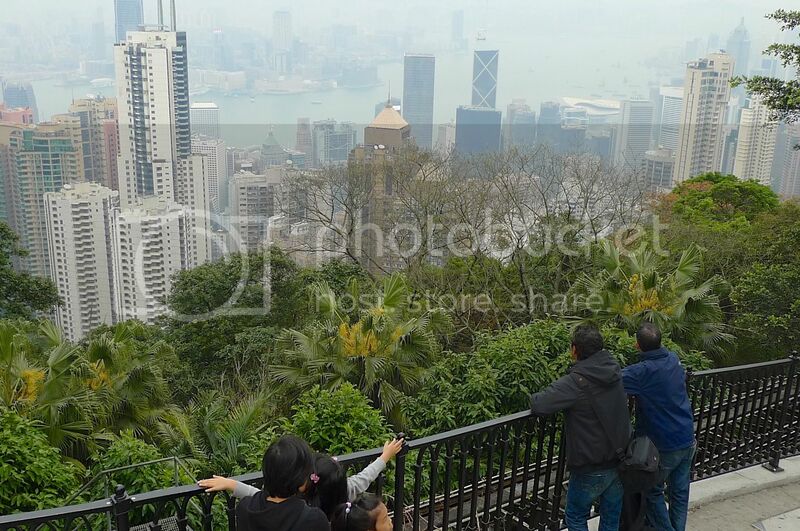 While writing the posts and editing the photos, I felt I really miss Hong Kong very much. The delicious food and the places I went to, coupled with good company had given me many fond memories. 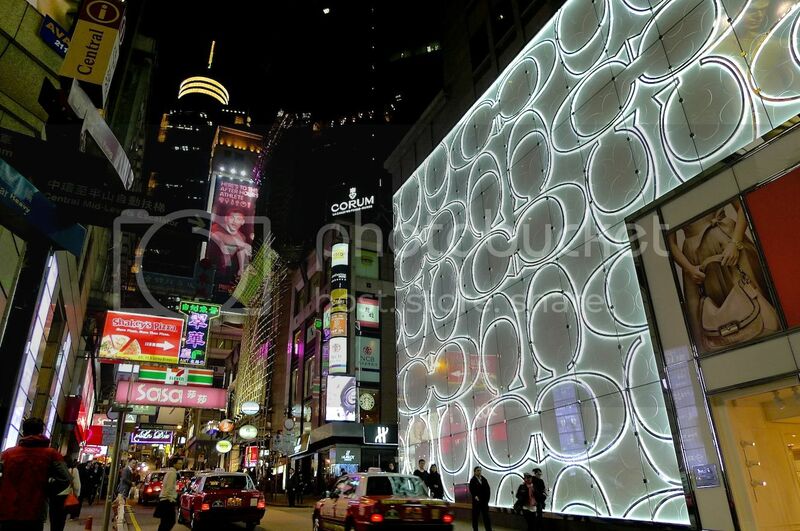 One day, while writing a post about my wild goose chase at Lan Kwai Fong, a tune suddenly came to me out of nowhere. I quickly went to the piano and played what I heard in my mind. I had to do it in case I forgot the tune! When I realised I have just played a complete song, I quickly played it again, but this time, I made sure I recorded my playing using my iPhone. 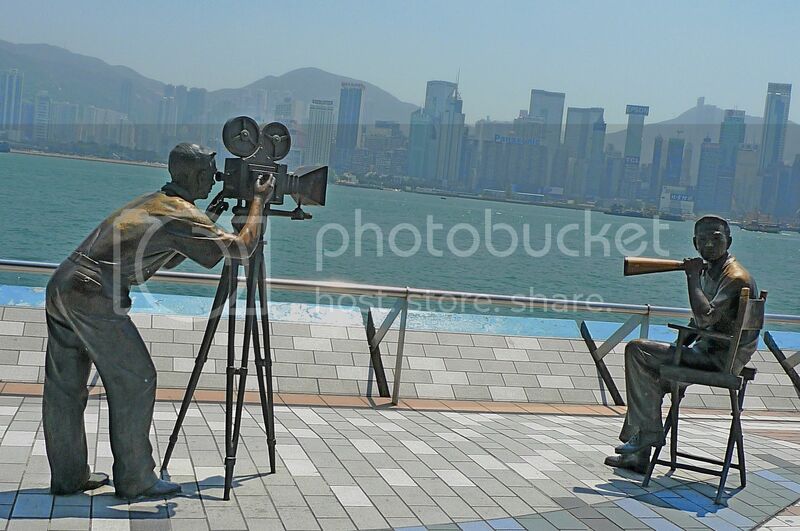 So today, I am sharing with my readers this song which I am going to dedicate as a tribute to wonderful Hong Kong! Listening to it now, I feel there are bits and pieces of the melody that seem to resemble some Chinese songs I heard in the past. Well, I guess I have listened to so many Chinese songs since my childhood days, it is inevitable that some parts may appear in my mind during my composition. I hope you will enjoy this song of mine. By the way, this is my third composition that I recorded. Listen to my first and second recorded composition HERE and HERE. 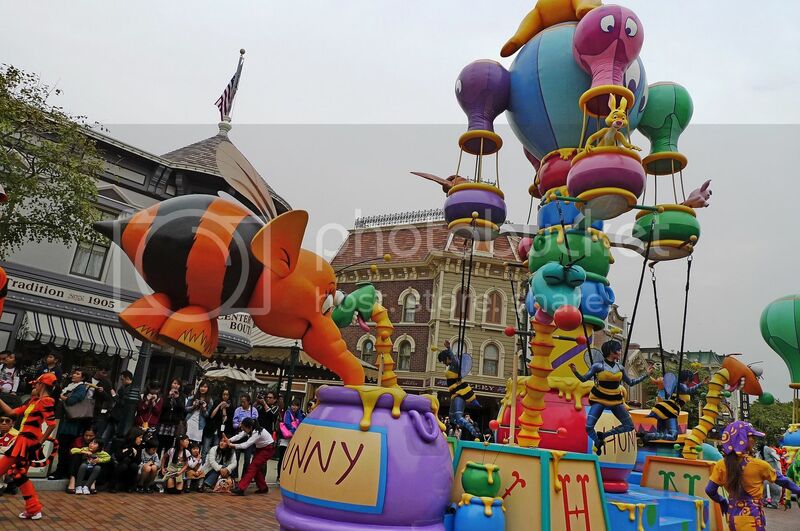 Note : This work and recording is copyrighted. 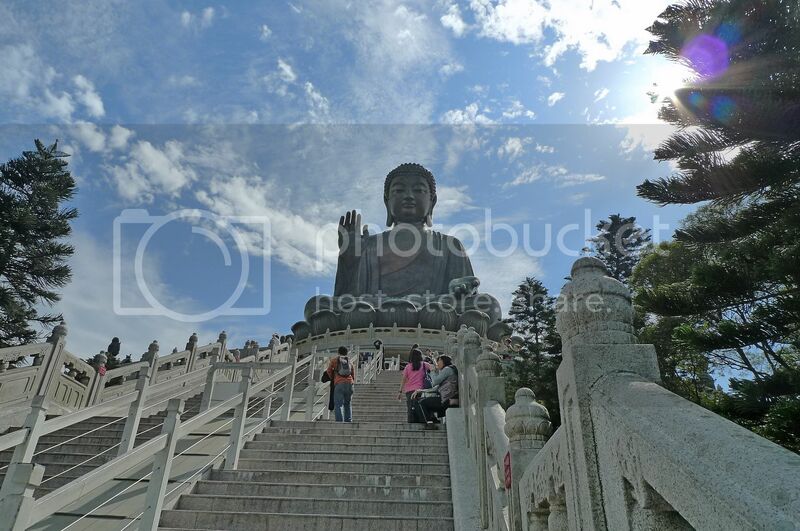 During our 3rd day in Hong Kong, my friend and I visited the Wong Tai Sin Temple in northern Kowloon. 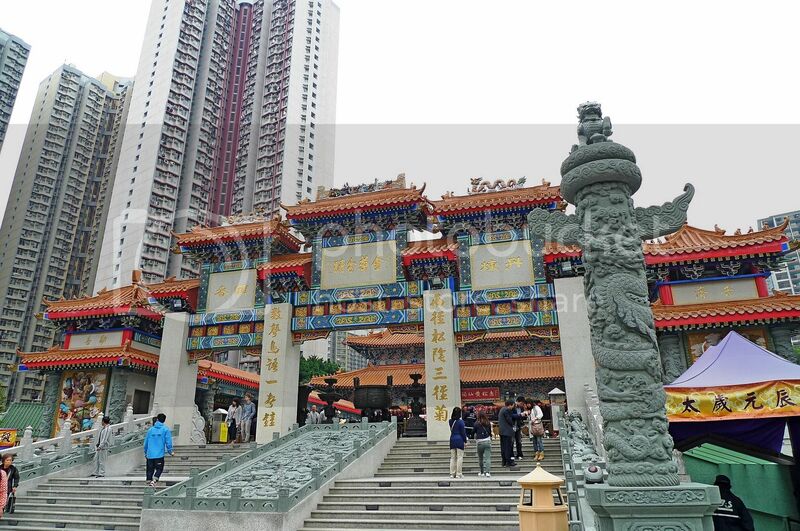 If you miss my post on the Wong Tai Sin Temple, you may want to click on the link. 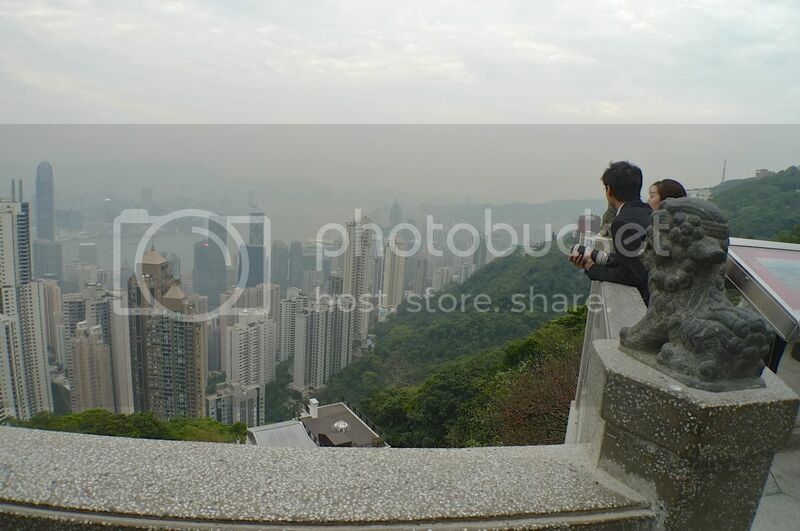 After spending an interesting time at the temple, we left for the next item on our itinerary - Victoria Peak (also known as The Peak) in Hong Kong Island. 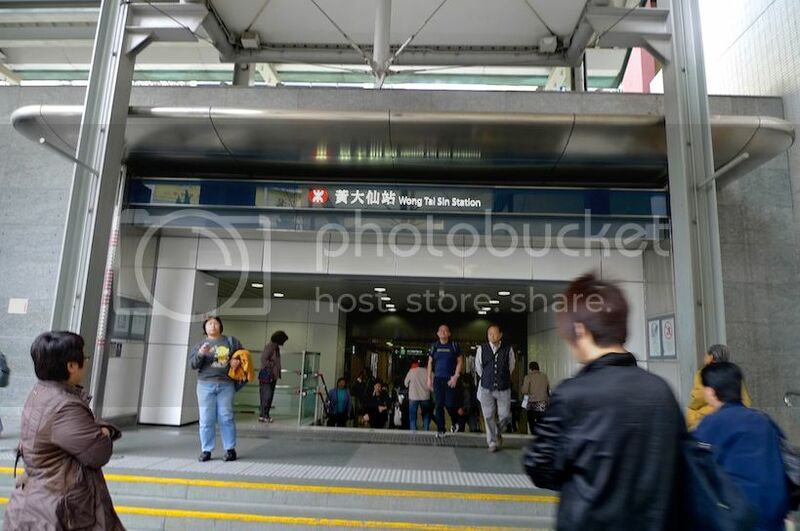 To reach this famous tourist destination, we decided to take the MTR from Wong Tai Sin Station to Central Station. 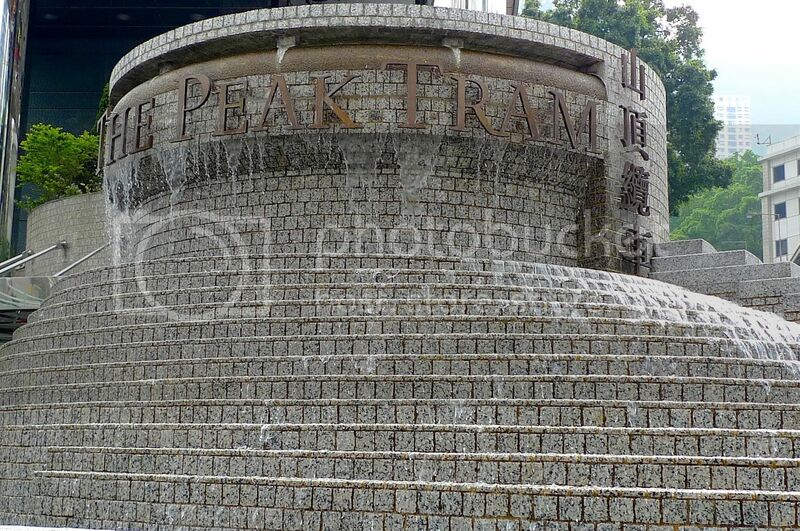 Once we alighted from the Central MTR Station, we walked all the way to The Peak Tram Terminus. 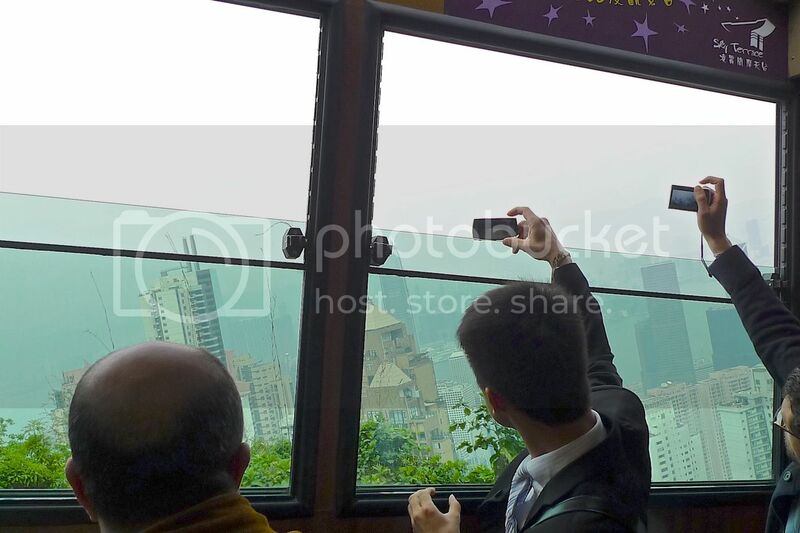 Yes, we could not wait to sit the tram up to The Peak! 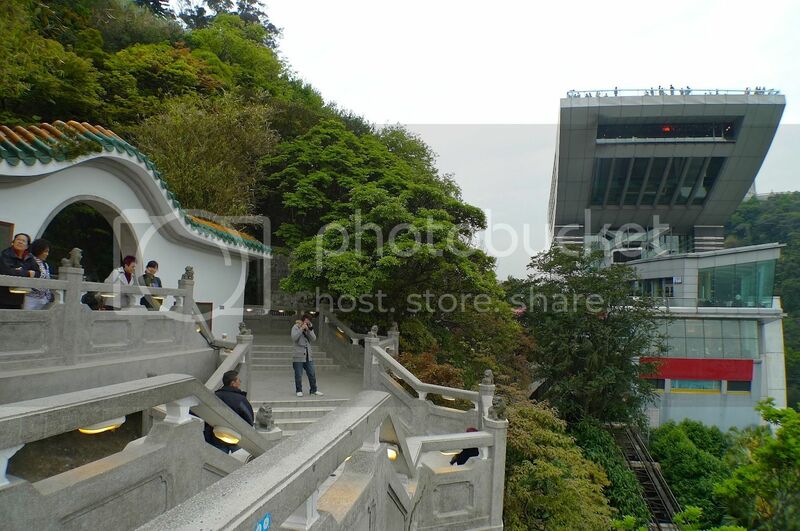 I expected it to be something like going up Penang Hill, only much better. 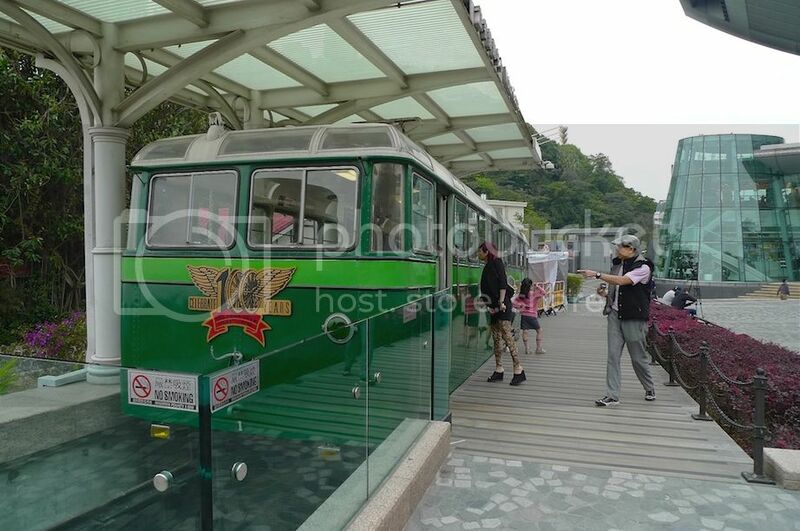 You can also reach The Peak Tram Terminus by sitting the special open-top sightseeing shuttle bus from the Central Station (near Star Ferry Pier 8). 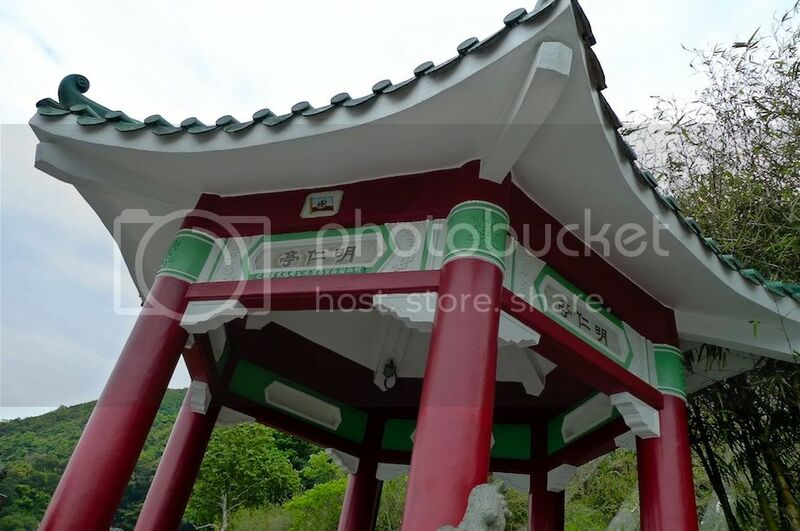 But since the weather was so pleasant that morning, we decided to just walk. 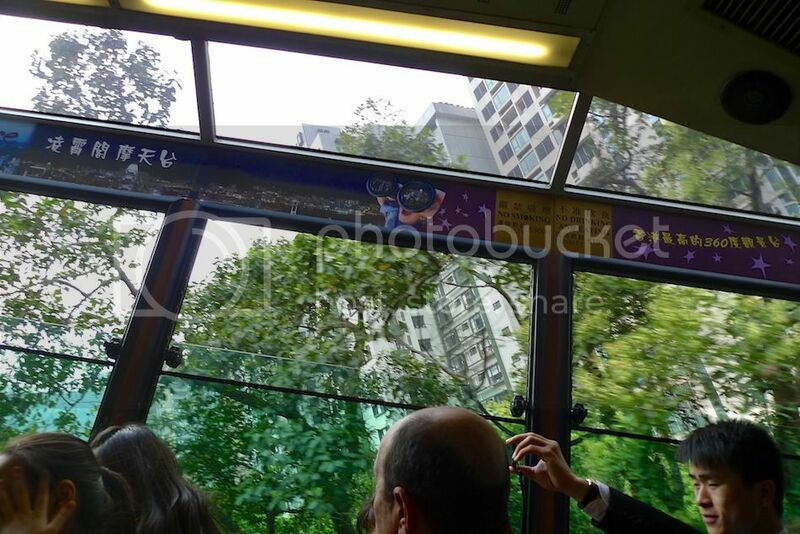 I will try the bus next round! 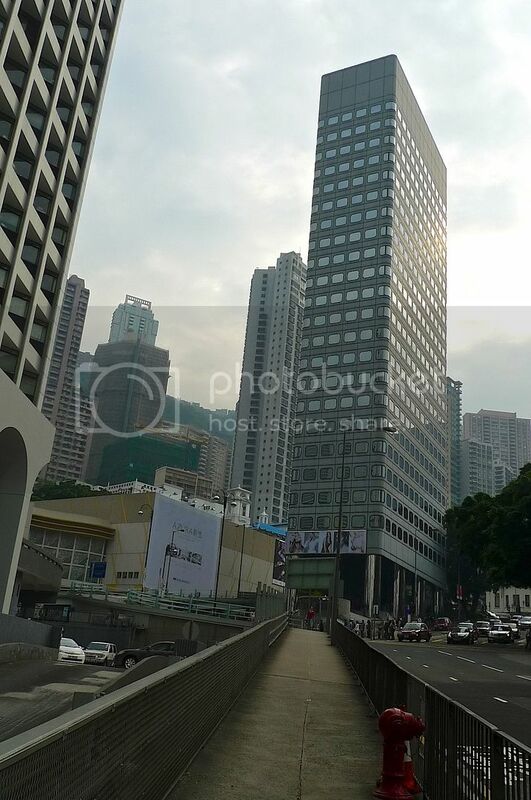 As we walked, we passed by some famous skyscrapers. 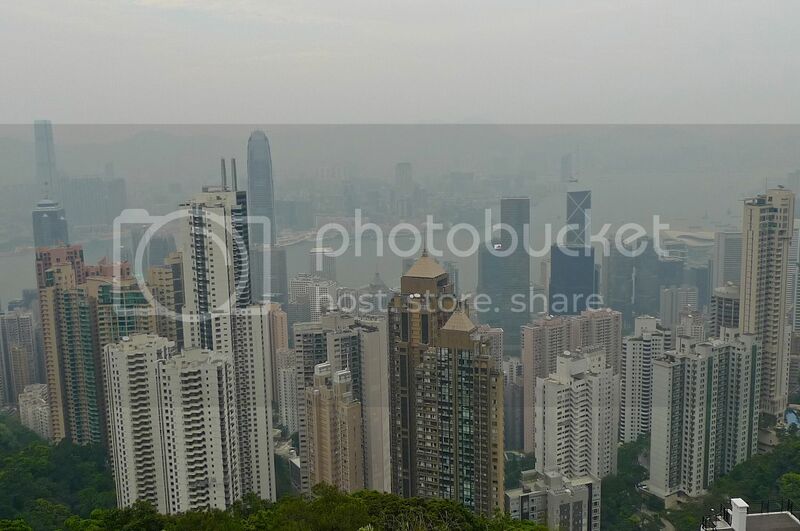 That's the famous Bank Of China Tower on the left and the Cheung Kong Center on the right. 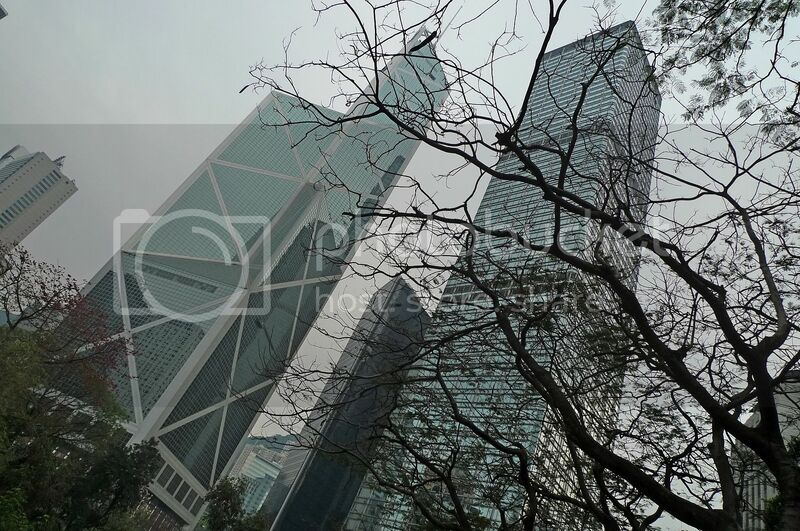 Can you see that the exterior of the Bank Of China Tower resembles bamboo shoot? 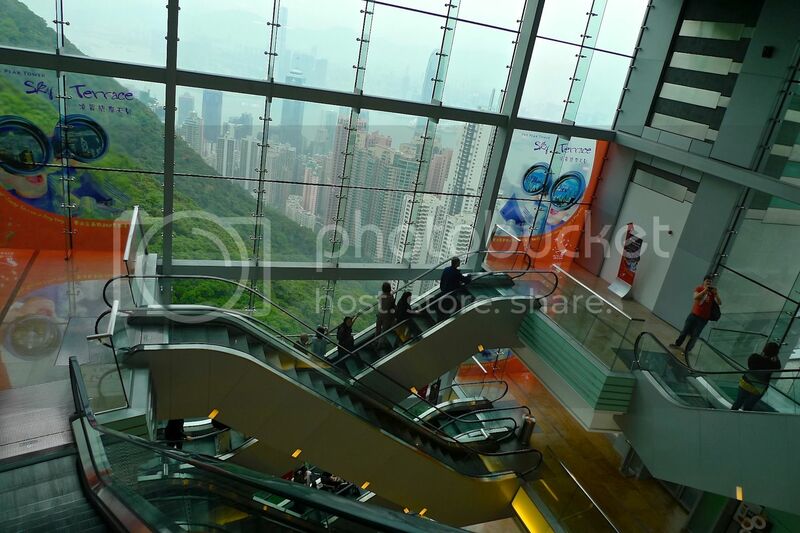 Perhaps it is a feature to enhance the feng shui of this building, which is currently the fourth tallest in Hong Kong. 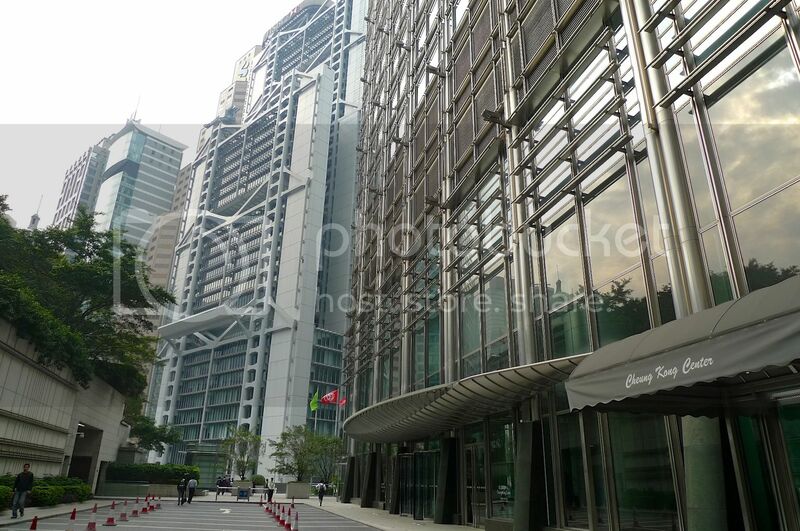 The Cheung Kong Center was interestingly, designed by Cesar Pelli, the same person who designed Malaysia's iconic Petronas Twin Towers. 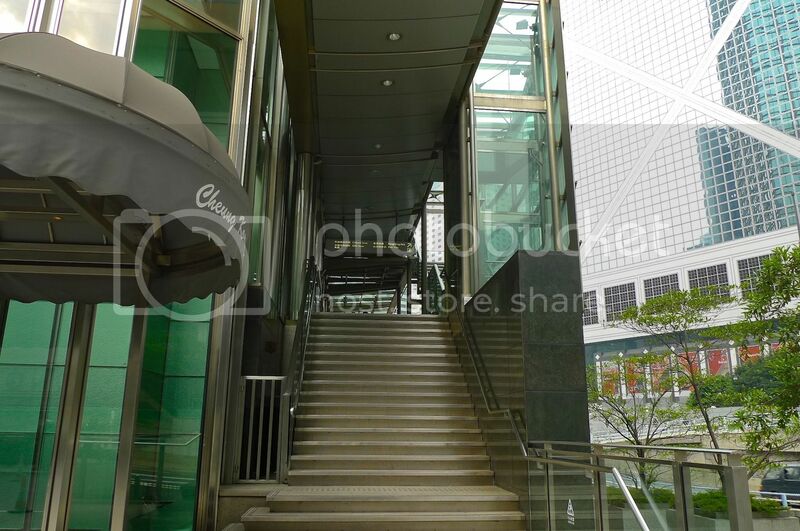 If you are lucky, you might just catch billionaire Li Ka-shing here as his office is located on the top floor of this building! 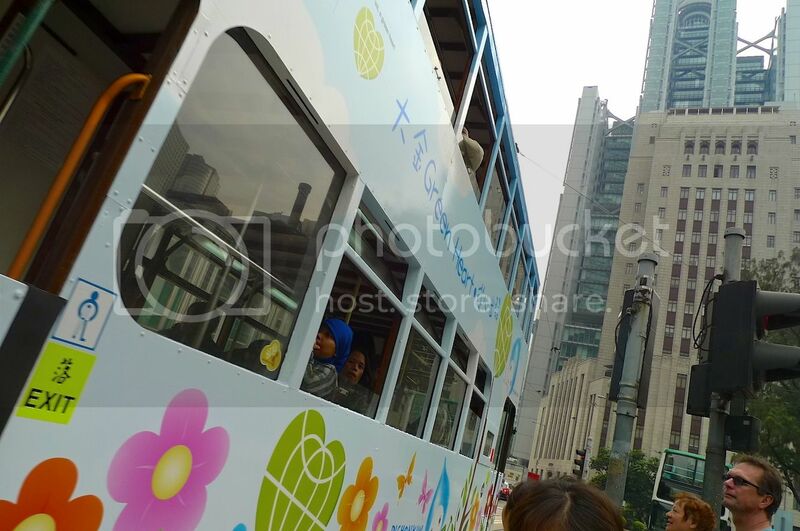 As we were about to cross the road, a double decker bus passed by so I quickly snapped a picture. 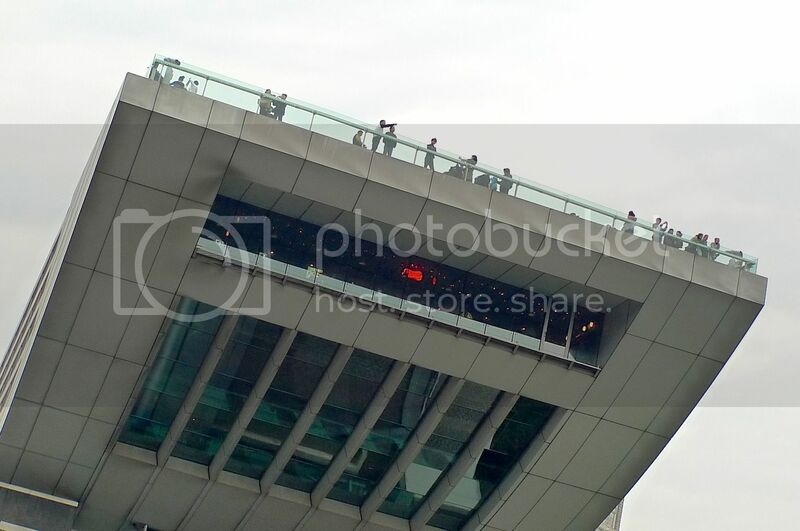 We were right in front of the Cheung Kong Center building. 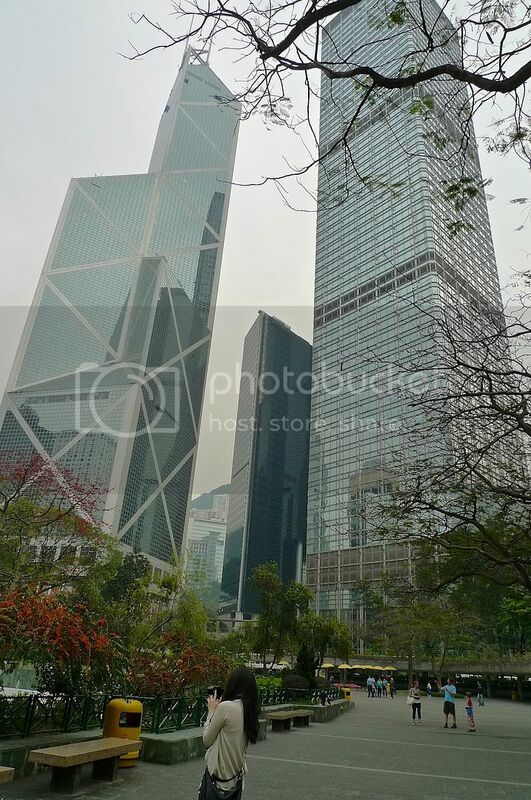 A little further up is the famous HSBC Tower which is one of the most expensive buildings in the world built at the cost of US$668 million. 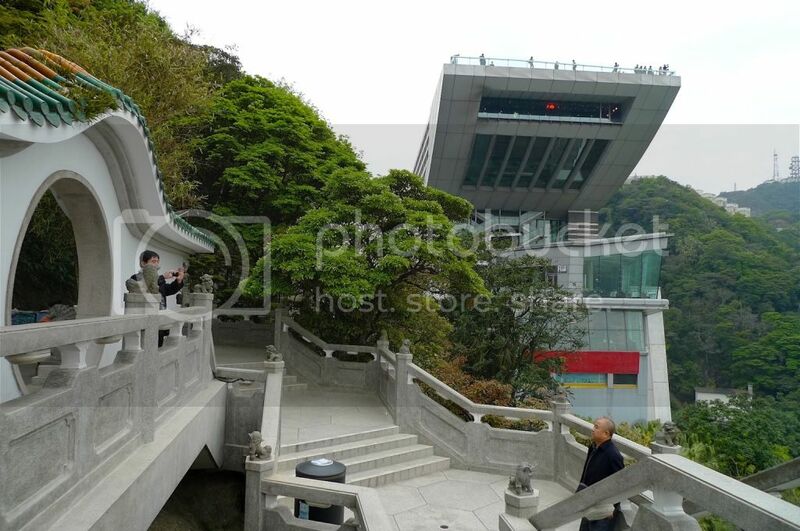 We walked up the walkway to cross to the other side of the road, known as the Garden Road. 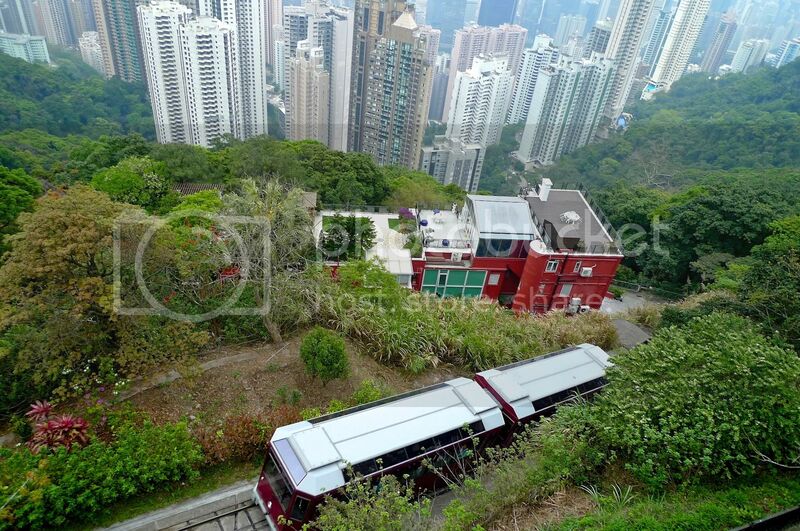 The Peak Tram Terminus is located somewhere further up this road. 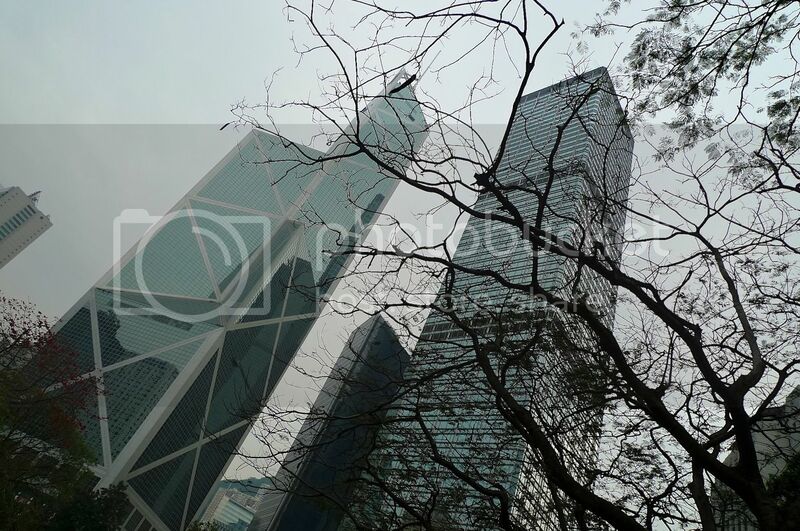 A snapshot of Citibank Tower (left) and Murray Building (right) from the walkway. 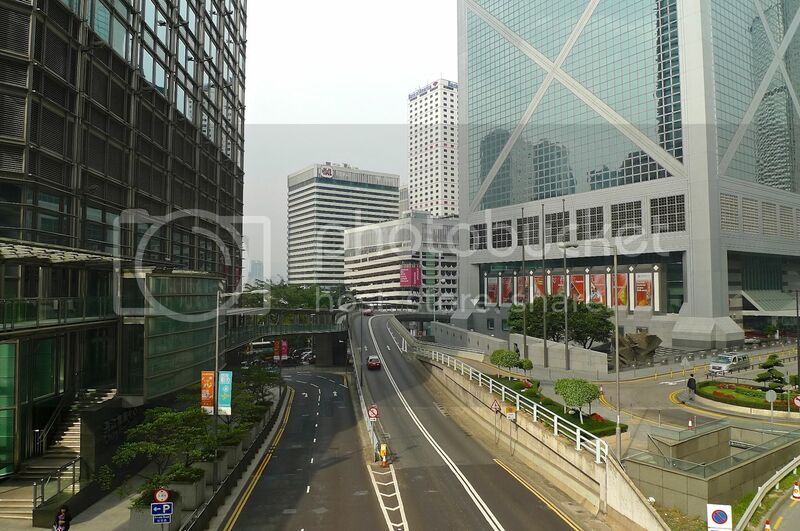 The Garden Road separates Cheung Kong Center (left) and Bank Of China Tower (right). Passed by St. John's Cathedral on the right. Would be nice to visit this Cathedral. The sign showed clearly that we were heading at the right direction. 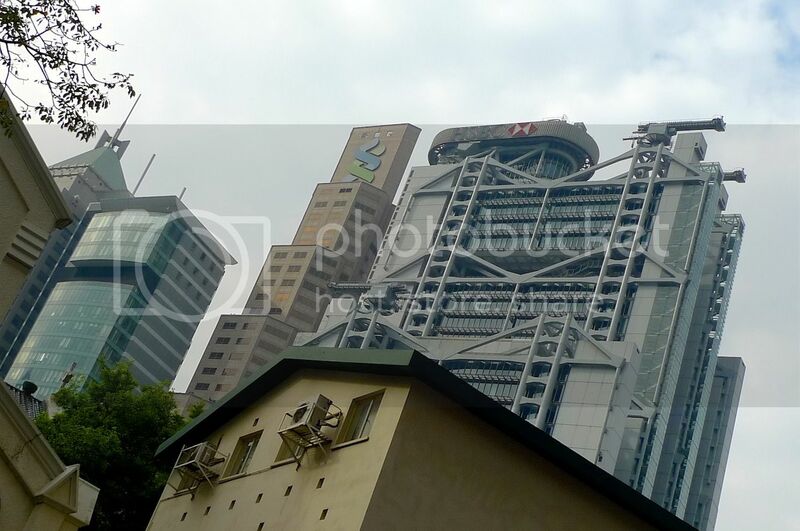 Could not resist taking a shot of the unique-looking HSBC Tower from here. 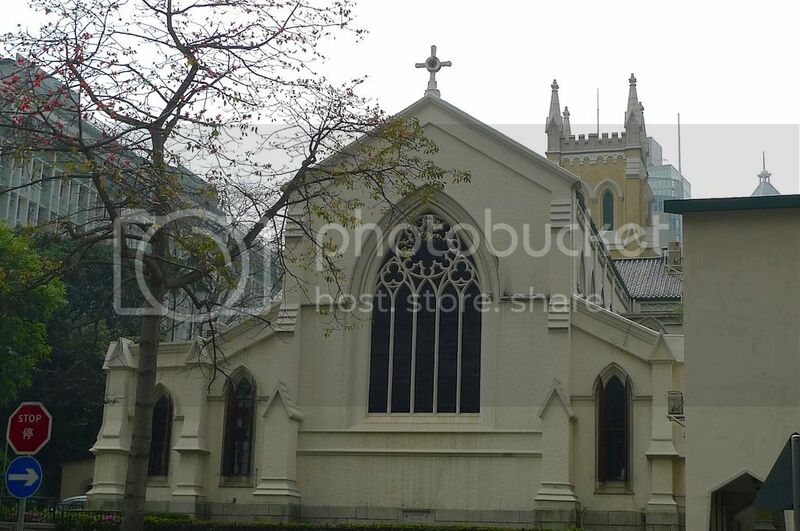 As we walked further up Garden Road, I saw a nice looking building ahead. It's known as the St. John's Building. 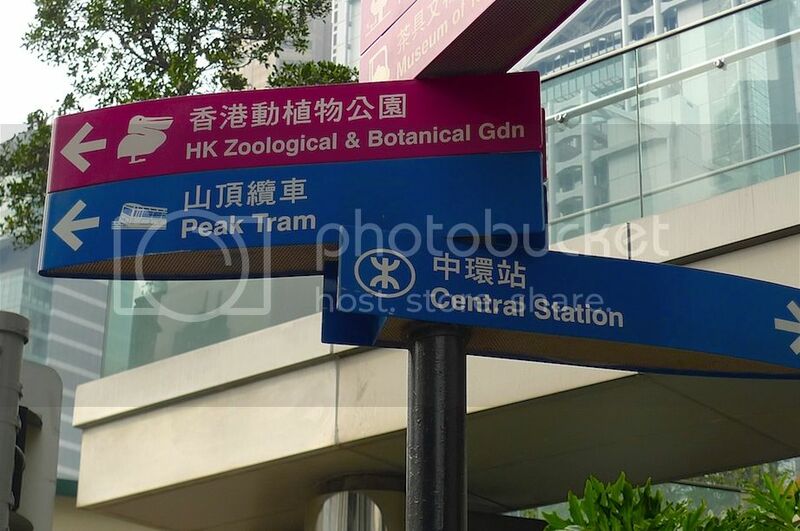 If not mistaken, the Peak Tram Terminus is located in the St John's Building, although I was not aware of it at that time. 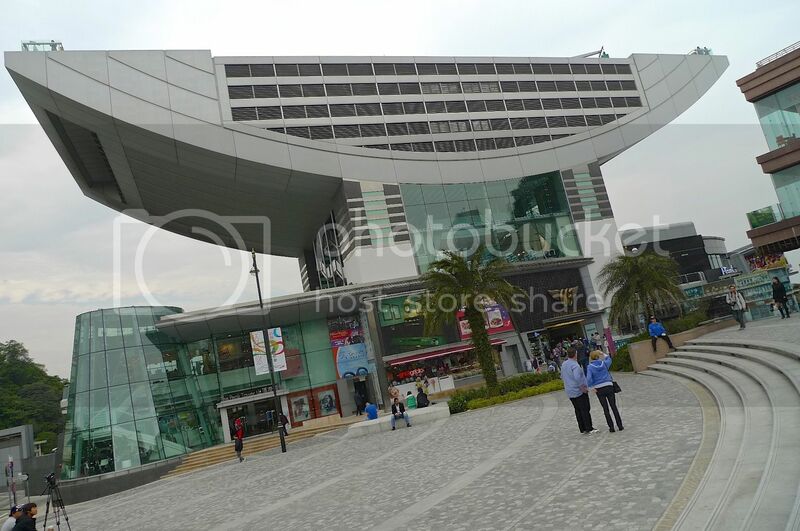 I hope to see this building up close from the front if I ever visit this place next time! 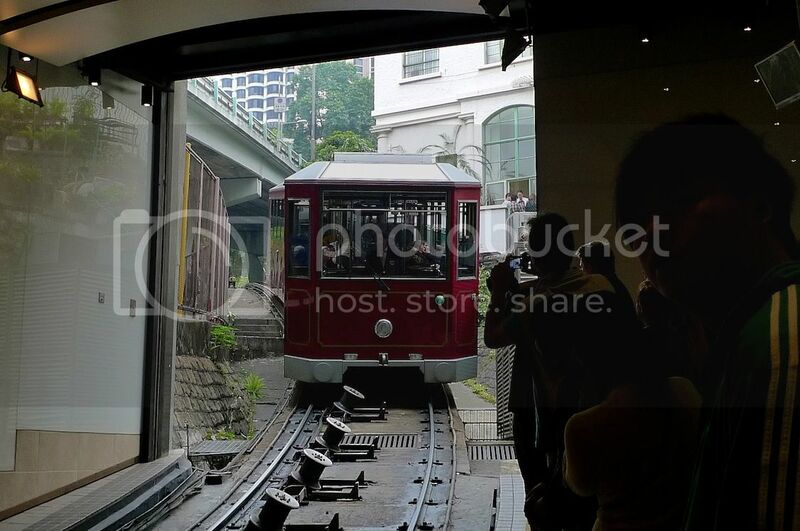 Soon, we were at The Peak Tram Terminus. 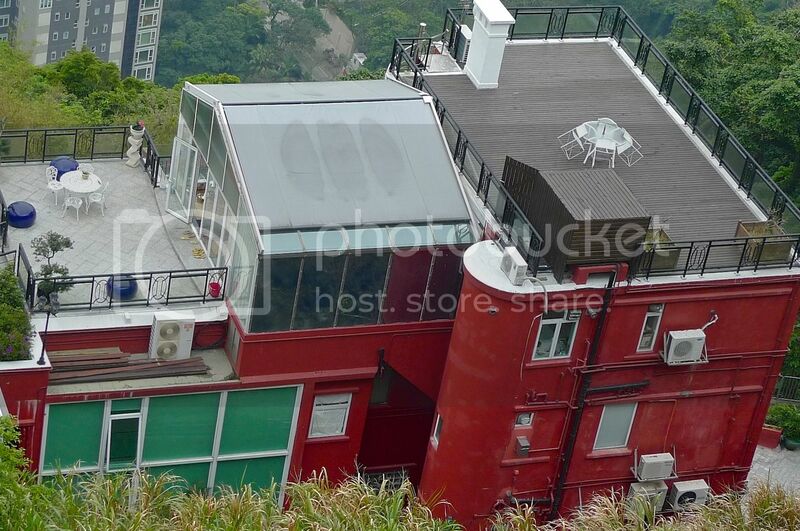 We had already bought the tickets to The Peak from our hotel agent on the first day in Hong Kong. These tickets were inclusive of the tram tickets, which was really great because we did not have to queue to buy the tickets at the Terminus. 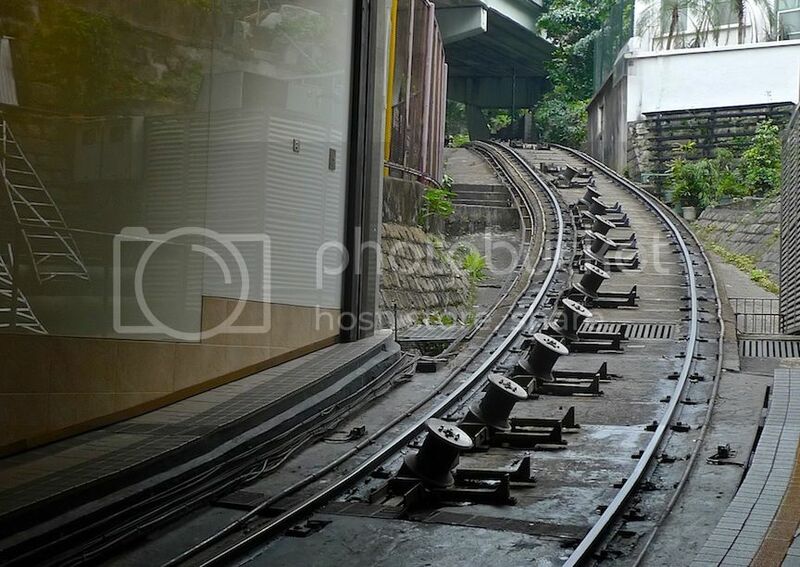 I took a snapshot of the railway track. We did not have to wait long before the tram arrived. 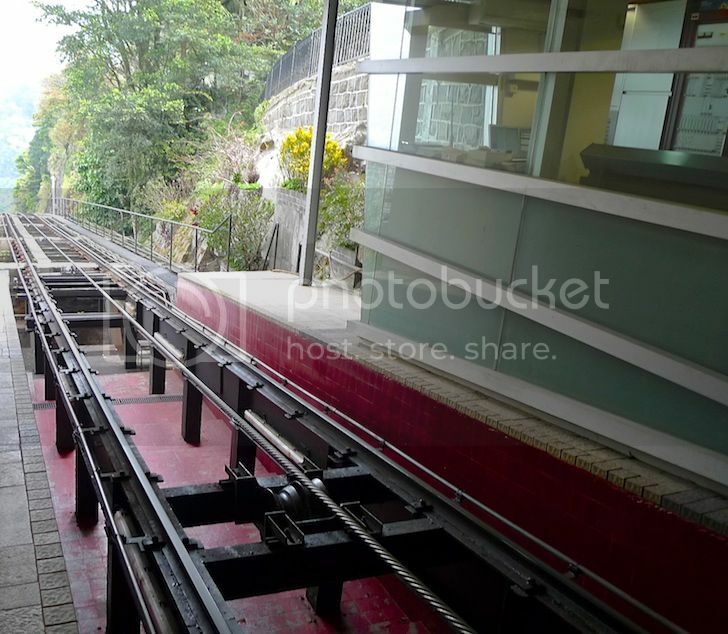 Amazingly, this Peak Tram which runs on a double reversible funicular system, has more than 120 years of history. 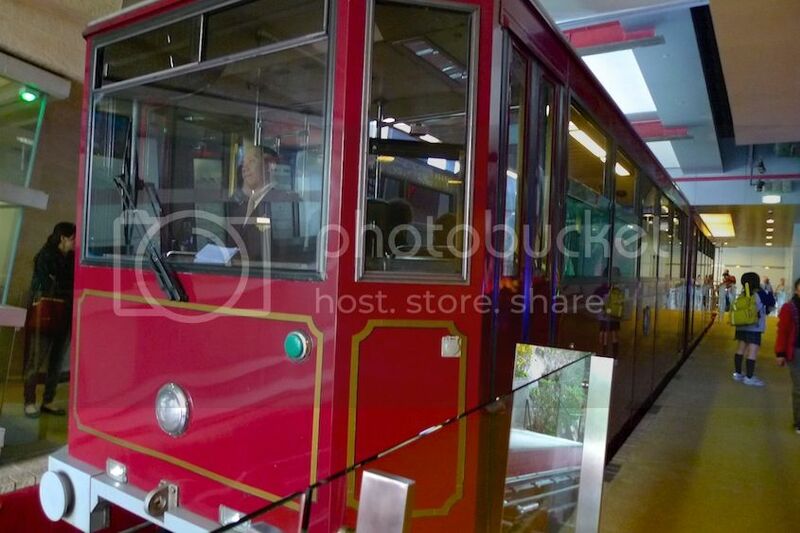 Started way back in 1888, the tram underwent 5 generations of modernization to reach the present time. There was a Historical Gallery at the Terminus but we did not have the time to visit it. 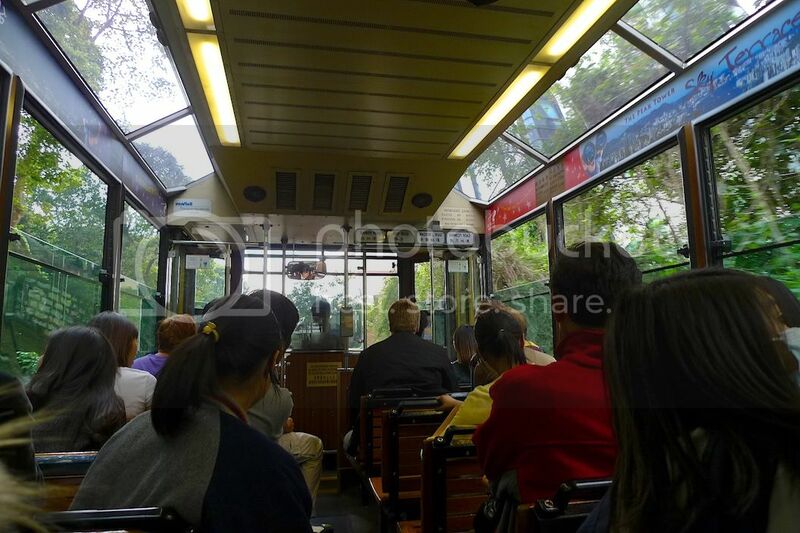 Sitting inside the Tram was an experience not to be missed! 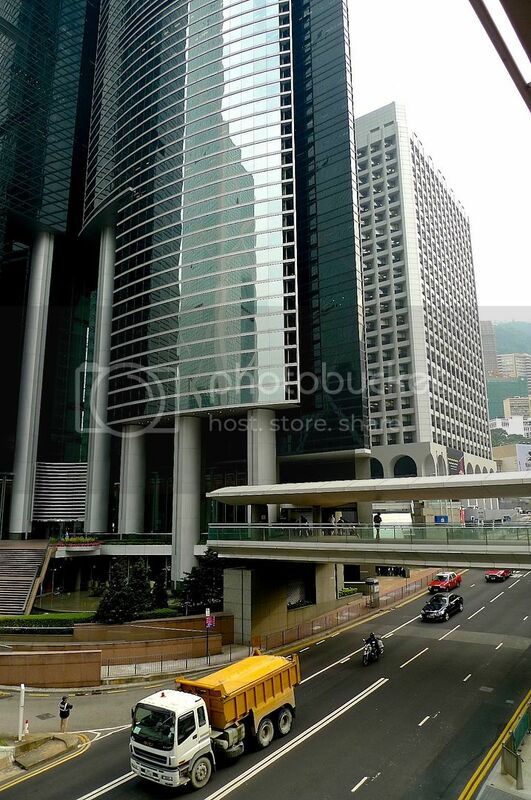 As the ride was very steep, the buildings outside looked almost as if they were slanting. 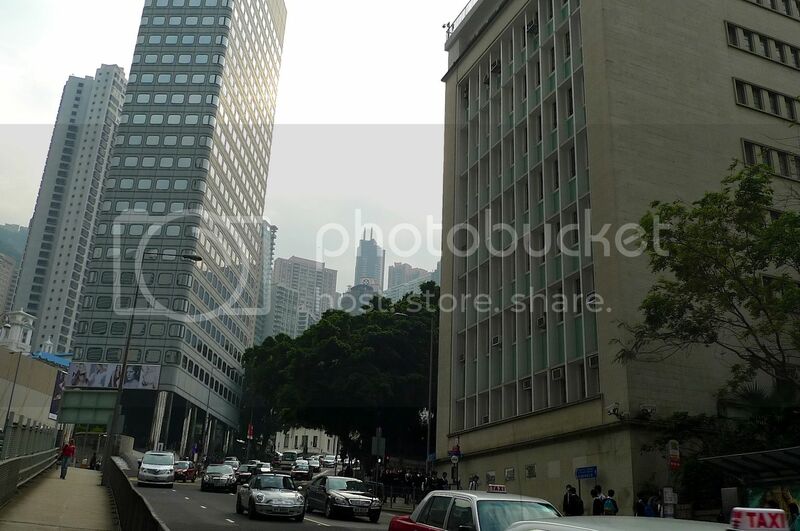 At one point, I swear the buildings were slanting at 45 degrees angle at least! 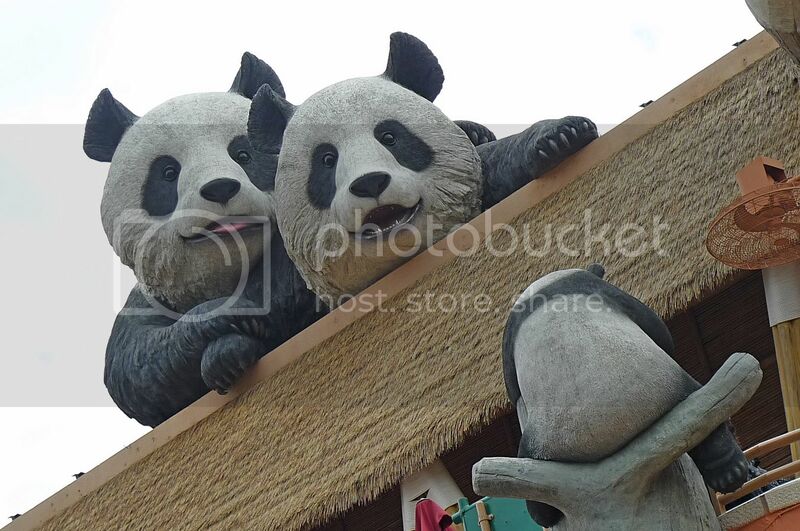 It was kind of weird feeling, but fun! 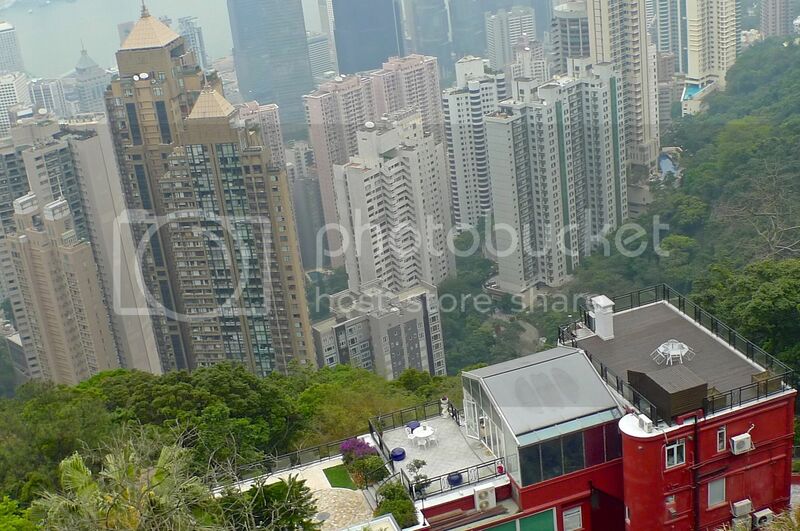 Once we were higher up, we could see all those buildings below like tiny little toys! That view alone is worth the ride. 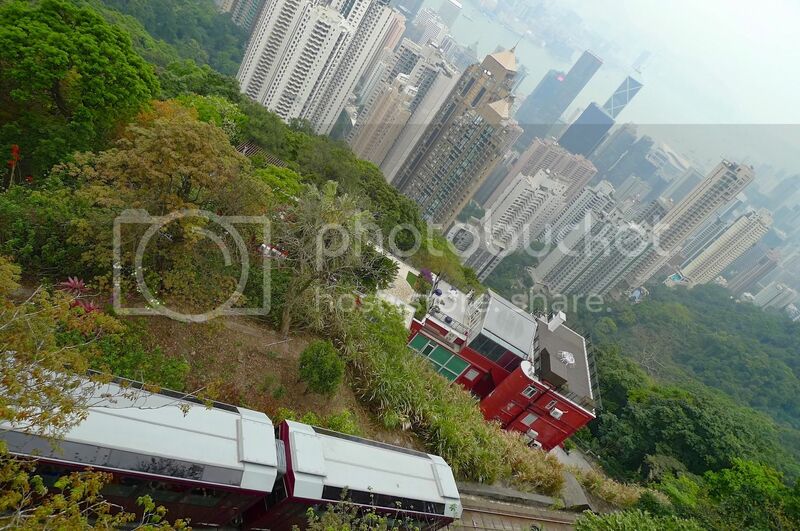 But I made a mistake - I should have sat on the right side of the tram to catch the panoramic view of the city! Lesson learned. The ride took about 5 minutes, covering a distance of about 1.4 kilometers. 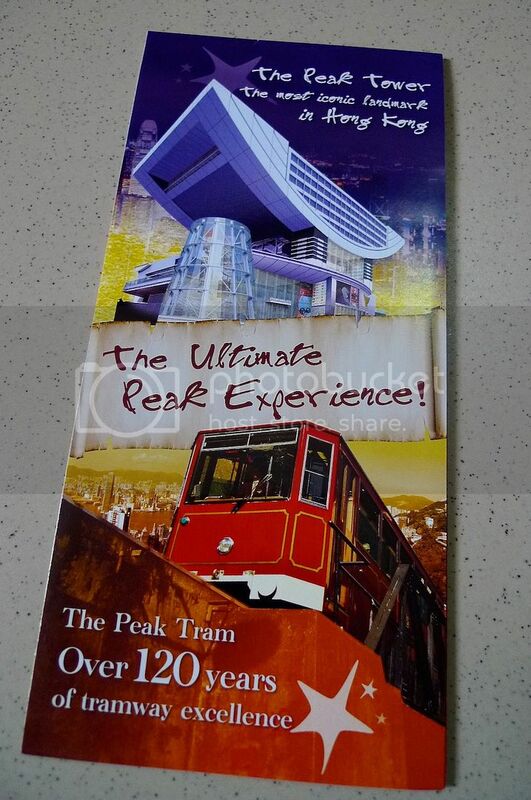 After alighting from the Tram, we were eager to discover what The Peak has in store for us! I found a new comfort food!! 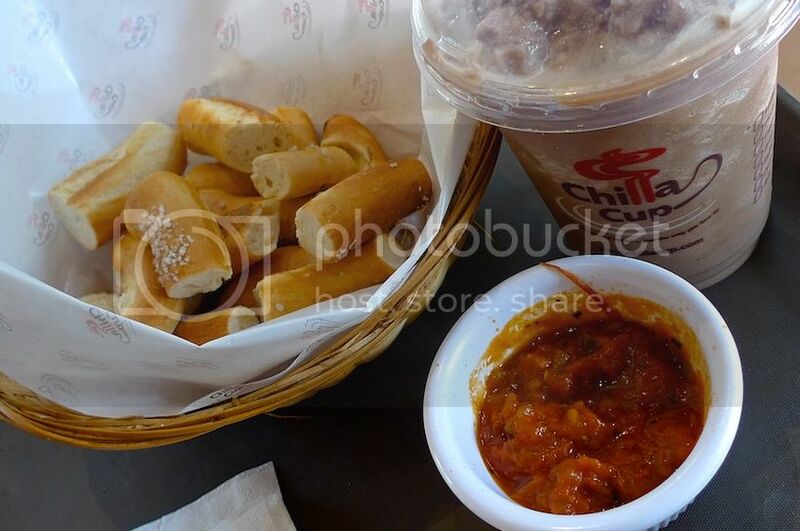 And it's none other than the yummy pretzels from Chilla Cup! I really think Chilla Cup makes the best pretzels in town! Eaten warm and freshly baked from the oven, these pretzels make the best comfort food you could ever imagine, especially if you accompany them with a cup of hot coffee. Eat them on a cold, rainy day and they taste almost heavenly! At Chilla Cup, you can dip these pretzels into 4 types of sauces - cream cheese, tomato salsa, sour cream and onion or caramel. Personally, I love dipping them into the tomato salsa! But they are delicious even if eaten plain. 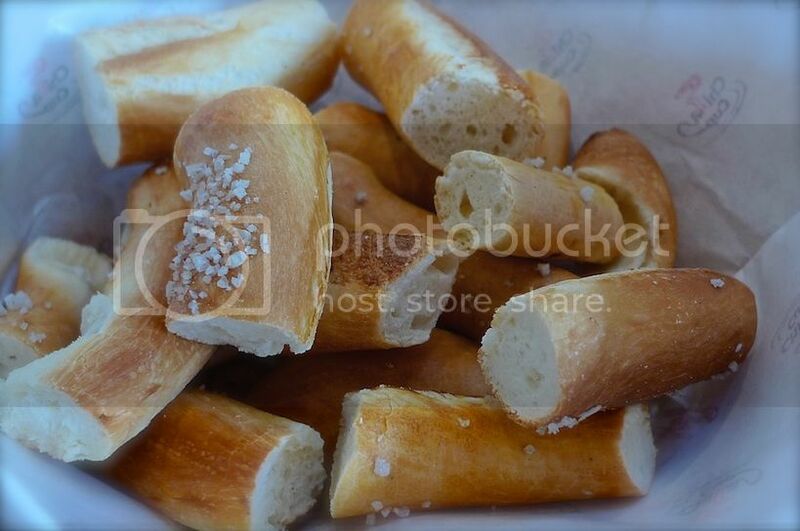 You can ask them to cut the pretzels into smaller pieces like what I did! They have original pretzel and plain pretzel. 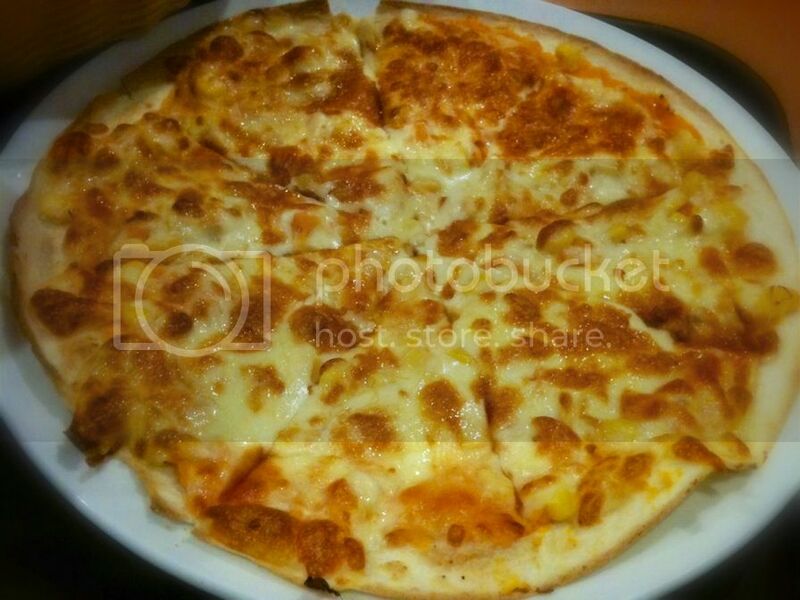 The original, as shown in the photo above, is rather salty. For me, I prefer the plain one. 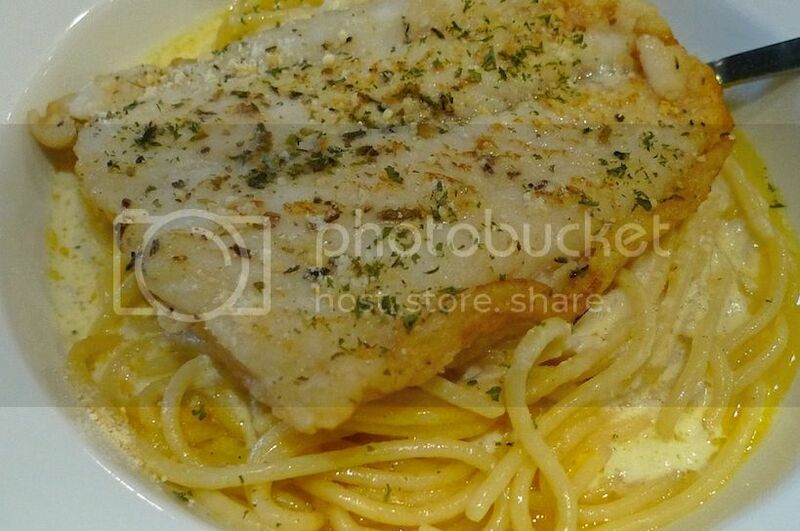 Another dish I love eating at Chilla Cup is their Dory Fish with Sour Cream Spaghetti. The taste of this spaghetti in sour cream is really good! I'm drooling thinking about it now. 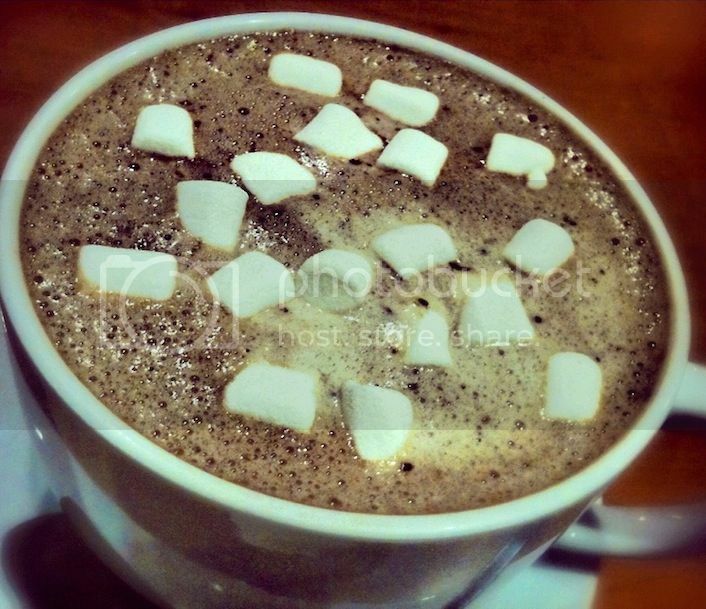 If you don't like coffee (which Chilla Cup does exceptionally well), you might want to try their Signature Hot Chocolate with Marshmallows. Maybe a tad too sweet, but I have to say I enjoy drinking this cup of hot chocolate! The chewy marshmallows make it even better! This was what I had for dinner one evening. 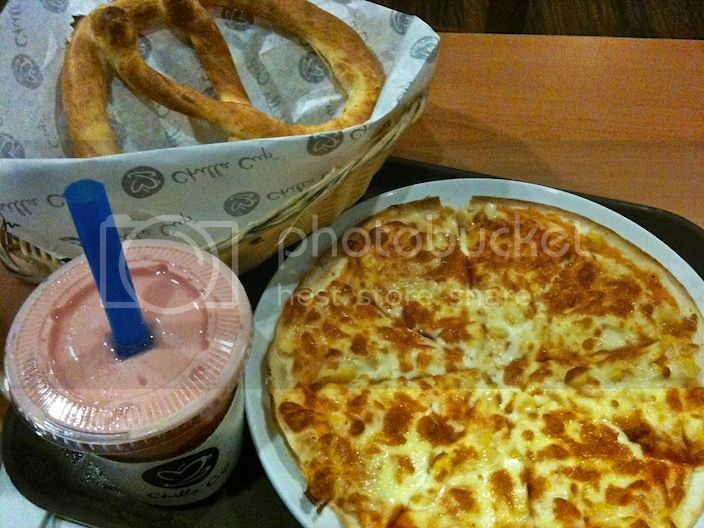 A freshly baked pretzel (uncut), sweet potato tortilla and a cup of strawberry smoothies. The sweet potato is hidden under the top layer of this tortilla, which is good for one person. I can tell you I finished it all within 10 minutes! 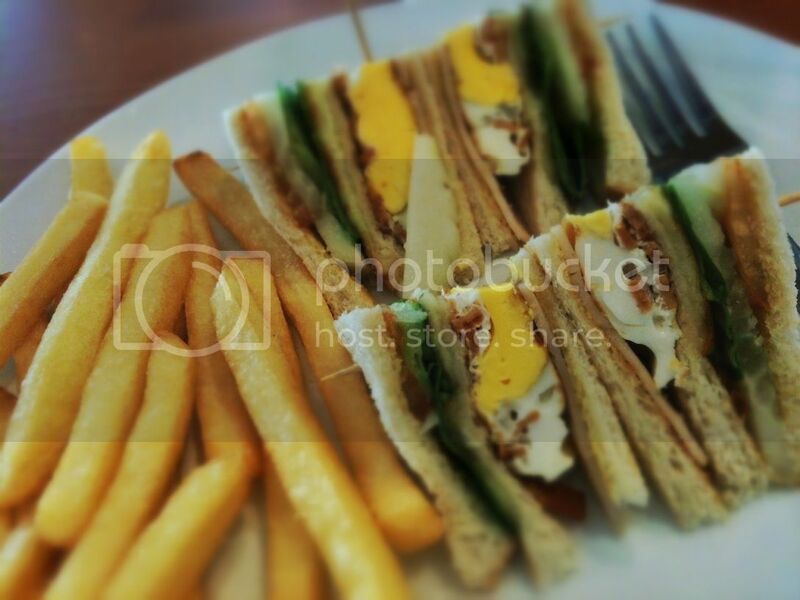 If you prefer something lighter, there's their Club Sandwich with Chips. Nothing really extraordinary with this one, but I kinda like the eggs in the sandwiches! Yum!! There are many more delicious food at Chilla Cup and if you want to know more, check out their menu HERE. Note : This is not a promotional post or advertisement for Chilla Cup.